San Francisco was the first stop on our American Adventure. And surprisingly it felt quite European to me, almost like a Californian Lisbon. One important thing to remember is that every neighbourhood in San Francisco is completely different and has a contrasting vibe – from cute Victorian houses in Haight Ashbury to the colourful Castro. Although it is tourist central, one cannot pass up Pier 39. The pier is home to San Francisco's famous sea lines along with a myriad of places to eat. Be sure to check out Boudin’s famous sourdough beard. If you’re staying near Union Square a visit to the American Classic – The Cheesecake Factory at the top of Macy’s is essential. It’s worth it for the view alone! While in San Francisco we stayed in The Clift Royal Sonesta Hotel which is conveniently located near Union Square. Union Square is the best place to stay in San Francisco if you long to be in the middle of all the action. 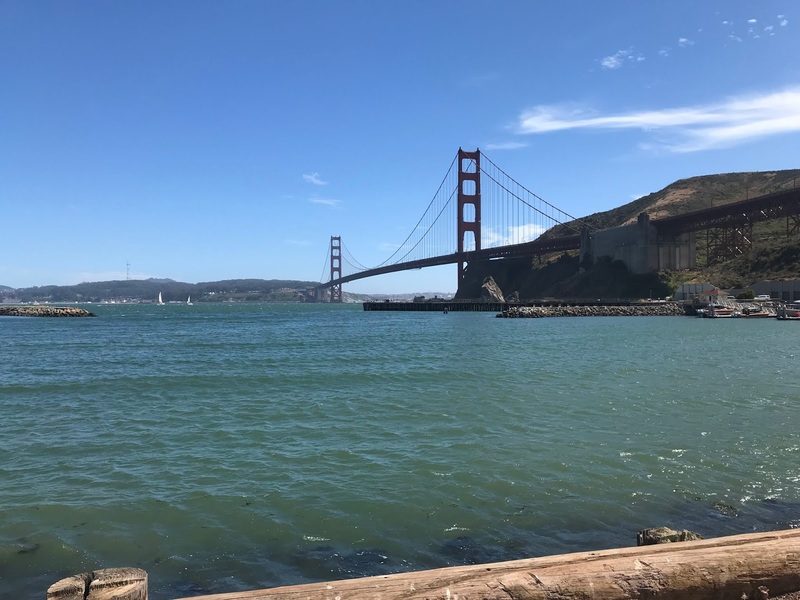 The Clift Royal also offers many perks to travelers like free tea and coffee and the use of complimentary bikes – great to use to visit Pier 39 or cycle the Golden Gate bridge if you're really committed. Read more about my stay at the Clift here. San Francisco is famous for it’s hill scaling cable cars so be sure to try them. The cable cars are actually a core functioning part of the city’s transport system – not just a tourist attraction. Although they are expensive at $7 a pop. The BART is much like our DART here in Dublin and stands for Bay Area Rapid Transit. The BART will get you pretty much anywhere you want to go including areas outside the San Francisco peninsula. We found the BART particularly handy for getting from the SFO airport to Union Square. San Francisco is home of the Uber. Uber also offers the pools within the city meaning your ride could become much cheaper. The Extranomical San Francisco city tour is the quintessential tour you need. It starts at 1:40pm daily, meaning you have the morning free to catch one of the city’s famous brunches. If you have longer than 2/3 days in San Francisco consider a day trip with Extranomical to Yosemite or Wine country. Read more about my tour experience with Extranomical here. During our time in SF we also decided to rent bikes from Fisherman’s Wharf and cycle the Golden Gate Bridge. Anyone who knows me knows I’m not exactly exercise mad. Honestly, there’s a big hill and it’s not for the faint hearted. All the same, definitely worth it for the views of the bridge.